Azhagappapuram is a panchayat town in Kanyakumari district in the Indian state of Tamil Nadu. It is one of the beautiful and model towns in the Kanyakumari district. It falls under the Agastheeswaram taluk. 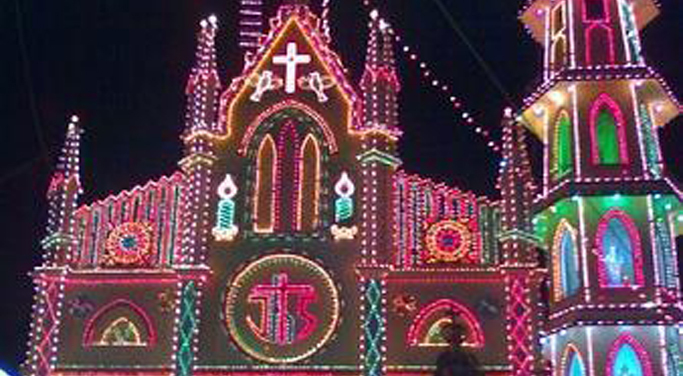 St. Antonys church stands in the middle, which is the major site of attraction of Azhagappapuram. Kanyakumari Railway Station serves the town. Azhagappapuram can be reached from Kanyakumari and Suchindram by road. National Highway 7 passes nearby. Azhagappapuram main occupation is agriculture. It takes 10 minutes to travel from Azhagappapuram to Kanyakumari. Approximate driving distance between Azhagappapuram and Kanyakumari is 9 kms or 5.6 miles or 4.9 nautical miles . Travel time refers to the time taken if the distance is covered by a car. Kulasekarapuram is situated in the south-west and Myladi in the north-west, near Suchindram, Thovalai, Kanyakumari and Vattakottai.